To prepare for the Dante’s Credit by Examination, you must first visit your admission department to discuss the credit awarding policy. Here they will clarify some things you want to know and be able to provide you with their advice. The DSST is an example of a Credit by Examination program allowing students to gain credit by passing the exam. Through the DSST exam, the schools will be able to award credit to a student when he meets the necessary requirements and the passing rate of the exam. The passing rate is usually determined by the school itself, but it must be established and recommended by the national committee of college faculty. The American Council on Education (ACE) is the institution that approves and provides their recommended passing score. They are also responsible in determining how much credit the student is allowed to receive. It is advisable to inquire first about your school’s program in DSST to make sure you are prepared and illegible to take the examination. You must also know the passing rate. There are schools that have a higher requirement with their passing rate, not following the ACE’s suggested passing score. Actual preparation for the DSST exam includes taking practice exams. Through these practice exams, you will be able to assess yourself on how well you are in the subject and how much more you need to study and practice. Practice exams will also help you get used to the exam and makes you quicker in understanding questions. Make sure you have chosen the best practice test offered by a school or online service. Through these exams, the students will be able to save time and money while accelerating graduation completion, allowing them to take another step closer to the profession you want to achieve. Undergraduate students can acquire a degree by getting credit by examination without formally enrolling in a certain school for the course. But first, a student must be eligible to take the exam. The student must visit the office of the registrar to complete the Academic Requirements Committee petition. Next is to gain the approval of the faculty and department to schedule your examination. It is similar to the CLEP program which can be an option for a student who wants credits. These are standardized test process first established by the Department of Defense. A similar option is offered at Excelsior College, Thomas Edison State College and a handful of other schools as well as other Online Programs that offer their own exams which enrolled students and others can take for credit. These options are very popular among students who want to bypass the standard course by passing the exam and just pay around $ 100; allowing the students to save hundreds or thousands of dollars which they can use on their other needs. Though it’s a practical way to earn credit, there’s no assurance that you will pass the exam. It will test your knowledge about certain subjects, so you must be prepared and be well equipped before taking the exam. Other credit by exam programs are only accepted by specific schools, not all. CLEP is the only widely accepted program by universities. Make sure that the program you are taking is accepted by the university you are planning to enroll. These exams can only be suitable for certain types of students. There are students who prefer having formal classes, for they learn more if they interact with the professors and classmates. It’s advisable to think well and consider your abilities and knowledge about the subjects before applying for the exam. If you’ve ever considered how a homeschooler can graduate from secondary school and college at the same time, it is probably because they combined home school with earning college credit by examinations. CLEP examinations, DSST examinations and AP examinations can be used to accelerate through high school and college. There are three basic types of examinations used to earn college credit while home school learners at the secondary school stage. These are the same programs used by learners attending a physical high school as well. 1. The CLEP (College Level Examination Program) was designed by the College Board to allow scholars to gain credit for prior experience or knowledge. 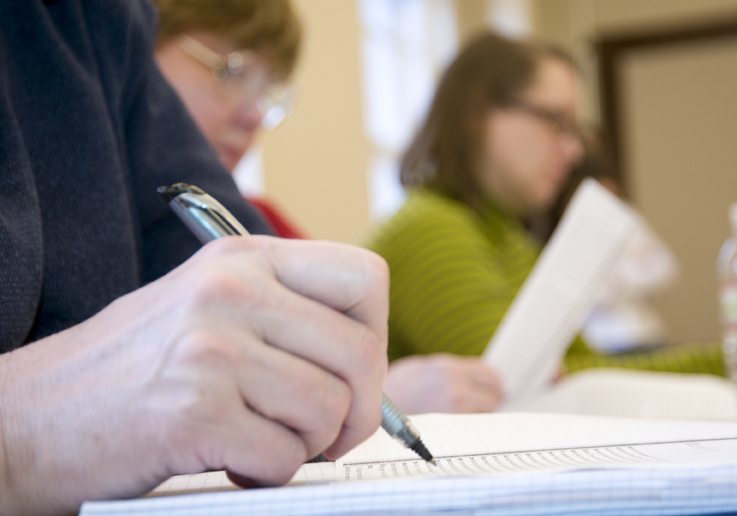 There are 33 examinations available that range from three to six credits per test. More than 2900 approved colleges and universities agree to these assessments as credit for classes, allowing learners to skip starting programs and get to the meat of their program. Home schoolers can take CLEP examinations at local colleges and universities. 2. DSST examinations (formerly known as DANTES Subject Standardized Tests) were initially designed for the army and allowed servicemen to speed up their education while serving in the military. While these assessments are free for the army, citizens may also use these examinations instead of attending a traditional college class. Over 1200 schools agree to the 38 DSST examinations as credit for classes at their schools. Home schoolers and High School students are drawn to DSST examinations as they cover common topic like Astronomy, Personal Finance, and Introduction to World Religions that learners are likely to have some information about and may have to take as a core subject in college. Students must take the credit by examination at a university that provides the test. 3. AP programs with examinations are designed by the College Board and used widely in public schools to award high school learners with college credits. 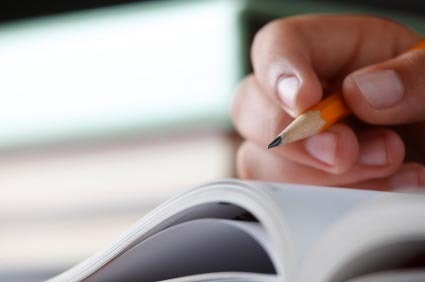 AP exams are often taken in the Spring as part of an official AP (Advanced Placement) class; however, home schoolers can still participate through independent study. You will also need to arrange to take the AP credit by examination at a college in your area that takes part in the AP program. 1. Save Time: Credit by examinations can help decrease the number of hours and classes you may need for a degree program. You have the versatility to schedule the test on your own time and to make a study plan that continues as long as you need it to. 2. Save Money: A test costs only $80! On average, one college is worth $250. Add up 3 credits and that’s $750! You do the math. 3. Credit = Credit: Over 1,900 organizations allow credits for credit by examinations. Whether you are seated through a class of 400 learners taking notes or passing a credit by exam, the credits are worth the same! 4. Variety of Resources: With the help of online practice examinations and several third-party sources, you can make sure that you will be guided on your path to success. 5. Immediate Results: About 100 questions later, click “finish” and viola! The test results are reported directly on the screen at the end of each test. These results are usually sent by mail to the college student and their organization five weeks after the test. 6. Get Ahead: If you look through the record of available test subjects, you’ll probably find that there is a subject you already know well! 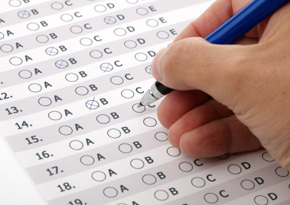 Take advantage of the practice tests to see how much information you already know. Then test out of programs that you’re already an expert in. Read the entire question, including the multiple choice answers before putting down your answer. Instructions typically tell you to choose the best answer. Study all the answers before you choose one, even if the first or second answer option looks appropriate to you. Pace yourself and keep an eye on the time. Always make sure you are not going to fast or too slow. The common duration of answering the questions should be about 30-45 seconds. You should have answered at least 50 percent of the questions in a section when half of the time for that section has passed. Don’t spend a lot of your energy and effort on any one question. If you don’t know the answer after you’ve considered it briefly, go on to the next question. Mark the question so you can come back to it later. Any answer is better than no answer. Do not leave a question empty. There are no penalties for wrong answers. If you can recognize apparent wrong answers, you have improved your possibilities of answering it properly. Don’t waste your time. Most students’ spend by reading too much into the question by looking for faults in query terminology or styles in appropriate answers. CLEP places significant amounts of effort into creating legitimate, efficient and reasonable examinations. It used to be that students attending college could only get credits by sitting through weeks-long lessons, writing notes and passing a litany of assessments. Now, however, there may be a more effective way of making credits for classes in a shorter period and at a portion of the cost. There are no projects to finish, no assessments to take, and no lessons or classes to attend, just an examination to pass. Sound interesting? Students looking for a more efficient way to generate a degree might want to consider credit by exam programs, which have become well-known among those who want to speed up their time in school and save costs simultaneously. “Credit-by-exam programs have been used for years and keep growing today because they offer real value to students and enable them to finish degree requirements more effectively than getting traditional programs,” says Marc Singer, vice provost of the Center for the Assessment of Learning at Thomas Edison State College, which recently arranged several of its credit by exam programs with open programs to make new routes for students to generate credit. Currently 3,000 universities in the U.S. accept credit-by-exam as transfer credit. The programs allow students to generate credit by passing a single examination and are an excellent fit for independent students, students who possess college-level knowledge and students who are excellent test takers. 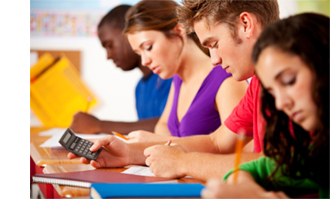 Credit by exam programs are not, however, a one-size-fits-all strategy to learning. For instance, those students who choose an organized environment and getting a lecturer and other students may not do as well with getting one test that includes a semester’s worth of material. This strategy does tend to work well for busy adult students who have competitive requirements on their time and who want to work individually. Two of the most well-known credit-by-exam programs in the U.S. are the College-Level Examination Program (CLEP exams) and DSST examinations. “Students considering credit-by-exam programs should talk with their educational consultant to make sure credits from the examination they are planning to take can be transferred to fulfill a requirement in their degree program,” says Singer. Whether you are still in uniform or have already left the service, you may be looking for a way to generate higher education credit that will have little impact on your hectic schedule. Wouldn’t it be nice to be able to learn about a topic on your own time without having to be present at classes and generate higher education credit by simply passing an exam at the end? Thanks to CLEP exams, that possibility has been a reality for many years and you too can take advantage of it. The College-Level Examination Program has been popular with service members and veterans since it was first presented, for valid reason. CLEP exams are just what the name implies: an opportunity to generate credit by exam. You choose a topic to study, set a date to take the evaluation and if you pass, you will earn higher education credit. Thirty-three CLEP exams are currently available in subjects which range from computer and computer programs to English Literature, with the value of an individual exam which range from three to 12 credits. Examining happens year-round. You can study at your own time and speed until you feel ready to take the evaluation. CLEP exams fit well with varying plans and short-notice deployments, since you don’t have to be present at a regular class over a period of several weeks, saving you lots of your time. 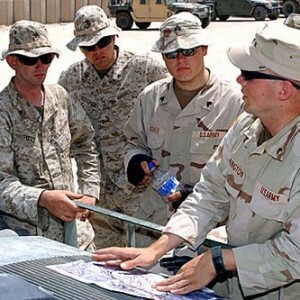 Active-duty CLEP evaluation takers may be able to obtain 100 % free study materials. Check with your installation education center; DANTES offers 100% free, reproducible duplicates of individual exam guides.